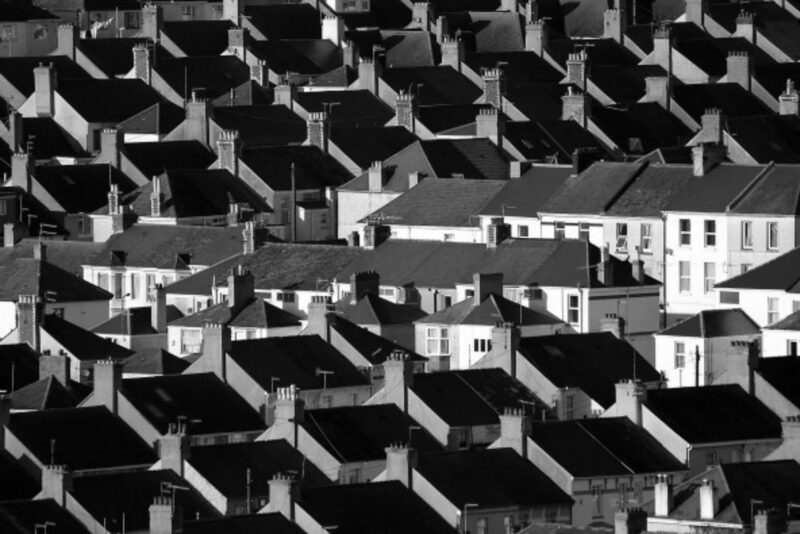 In this co-authored piece, Jake Richardson helps me assess the recent increase in the adoption of the 5-year old ‘Build-to-Rent’ initiative which is being peddled as a potential solution to the Housing issues being experienced within the U.K. at present. The piece finds that one of the key outcomes of the recent moves is a demonstration that housing policy is too divided, which the piece suggests lays at the core of the issues within this particular marketplace. Earlier this year it was declared in the mainstream media that ‘solving the housing problem is hard to deliver, hard to explain… [and] is an example of the weakness of our political system’. This sentiment, which was used as a platform to suggest that cutting ‘stamp duty’ could be the most viable short-term fix, represents the difficulties that surround housing in the United Kingdom. In this piece the concept of the housing ‘problem’ will be used rather than the housing ‘crisis’, because even though finding solid definitions in this field is particularly difficult, the difference between the wider ‘problem’ facing all sections of society i.e. first-time buyers, long-term renters etc., and the more acute ‘crisis’, which describes an impending increase in the rate of homelessness due to housing policy, for example, is a differentiation that must be acknowledged. The impending crisis facing those living in private accommodation is extraordinarily important to consider, but for the purposes of this piece will form just one part of the analysis. This is because the purpose of the piece is to present an overarching review of the major problems so that a wider perspective can be found; the result is that we can see that a solution is available if there was a reduction in political wrangling in the U.K., with that same political obstruction being the direct cause of the problems we see today. One of the most obvious symptoms of this housing problem is the sharp divide between regions in the U.K. Whilst it is not surprising that the capital city will be the home of the most expensive homes in a given country, the extent of the divide highlights the problem at hand. In fact, the margin of that divide is so much that it makes developing an average of the national housing situation incredibly difficult, mostly based on the understanding that whilst the London housing market accounts for only 15% of the U.K.’s national housing stock, it also accounts for almost 30% of the value of that market (a similar scenario to the City’s economic impact upon the Country moreover). Yet, successive Governments have aimed to redress that balance, somewhat, as part of a larger approach to housing policy within the U.K., with there being a number of initiatives developed over the years to meet that supposed aim. In assessing these initiatives, however, a broader picture emerges that condemns the impact of politicians upon the health of the Country. One of the most visible initiatives has been the so-called ‘Help-to-Buy’ initiative that was developed and established in 2013 by the previous Coalition government. The scheme, which aimed to increase housing demand by developing programs related to equity loans, mortgage guarantees, shared ownership and lower percentage deposit arrangements, became one of the central tenets of that particular government, with the Government proudly announcing in 2015 that the scheme has helped nearly 90,000 people buy a new home since its creation. However, onlookers have noted that the systemic aims of the initiative has arguably not been met, with it being suggested that pledges to build more houses on the back of that increased demand have not come to fruition which represents an inactive and inflexible system. Additionally, there are a number of other connected issues with the imitative in that the scheme, arguably, encourages increased lending and therefore increased risk, with the associated increase in the potential for borrowers defaulting on their financial commitments being widely recognised in the field. Also, the vulnerability of those in the scheme to external shocks like financial crises and political shocks i.e. Brexit needs to be considered, as elevating those without adequate resources fundamentally increases systemic risk. The cultural aim of increasing the amount of homeowners, and all that goes with that concept, can be additionally witnessed in the proposed reintroduction of the ‘Right-to-Buy’ scheme that was originally developed by the Thatcher Government in 1980 and allows for social-housing tenants to purchase the home that they currently live in. However, it has been particularly difficult to maintain the pace of this cultural approach, and with the economic environment proving so uncertain, there has been a conscious move towards the rental side of the housing problem. The ‘Build-to-Rent’ initiative was launched in 2012 but has recently witnessed a dramatic increase in its adoption and popularity. The Government provide subsidies for the development of homes that must be subject to the rental market via the ‘Home Building Fund’, and currently the scheme is attracting plenty of interest from large institutional investors, chief amongst which is the Duke of Westminster who, having succeeded his Father in 2016, is now investing considerable sums into sites in London with the expressed aim of converting them into multi-resident rental properties. The Urban Land Institute go through some of the ‘best practices’ with regards to investing in the scheme, and starts its report with the British Housing Minister affirming that this scheme forms an important component of the Government’s aim to build a million more homes by 2021. However, there is something that is missing from the mainstream support for the scheme, and that is the acknowledgement of the life of the tenant. An article in The Guardian states that in a new residential block in Wembley, London, 16% of the tenants already living there are ‘key workers’ like nurses and teachers, but the positivity in the article ignores the plight of those ‘key workers’. Nurses are currently protesting against the maintenance of the 1% cap on their salaries, particularly after the same cap was lifted from the salaries of the Police and the Prison service, whilst Teachers are embarking upon precisely the same fight against the Austerity Government. Whilst some stories may shine a positive light on the situation, the uncertain times being faced by these socially-vital workers is actually being met with a wave of anti-tenant rhetoric and procedure, which only adds to the problem. In September, Landlords were given new powers to access more in-depth information regarding their prospective tenant’s ability to meet their financial commitments, whilst they are also being warned that a raft of regulations coming into the rental market will fundamentally affect their position; although it is positive that regulations to enhance the tenant’s position are being brought in, one of the effects will be a reduced appetite for landlords to develop rental properties. These issues are in addition to a rise in reports of widespread discrimination against E.U. nationals in the rental market, signifying an increase in the anti-tenant sentiment being displayed at the moment. Whilst this aspect of those in work navigating the rental market is an important one to consider, it is actually the plight of the unemployed that is the biggest concern. If we accept that the Government is attempting to garner a more long-term vision with regards to creating a facilitative environment for rental builders and landlords (to a lesser extent), then that belief will be severely tested by the widespread concern regarding the impending roll-out of Universal Credit. Universal Credit is amalgamated process for those in receipt of benefits, and there are two particular elements which are causing alarm. The first is that for those in receipt of the relevant benefits, the changeover to Universal Credit is leaving people without income for an incredible six weeks (on plenty of occasions), which is the direct cause for the rate of rent-arrears sky-rocketing within this particular sector; those who are in receipt of benefits, but mostly housing benefit, are simply unable to pay their rent. However, the more concerning element is the Government’s blatant disregard for the plight of the most vulnerable in society. Only earlier this year did the Financial Exclusion Committee, amongst a whole host of other bodies, confirm that the levels of financial education amongst the poor are unerringly low, and that a number of initiatives must be put in place to counter that lack of education i.e. a reduction on the ability of short-term lenders to peddle their high-interest products to poor. However, the Government’s response to this has been to remove the process of a benefit claimant’s Housing benefit being paid directly to the landlord, and instead have it paid to the claimant themselves. In what is a clear demonstration of the Government’s lack of empathy, the DWP declared that the move is intended to ‘encourage claimants to manage their money’, which flies directly in the face of expert opinion and consistent feedback from concerned landlords, both social and private. However, this approach is not surprising, and in actual fact is a symptom of a larger approach that leaves large sections of society in constant flux. Ultimately, there is simply no sustained direction when it comes to housing policy. Whilst it would be easy to suggest that the consistently-changing political structure in the U.K. is at fault for this, other democracies have managed to sustain an approach to their housing situations and directly affect the culture within their jurisdiction – one immediately thinks of the rental population in Germany. Yet, in the U.K., the Governments will say one thing and do another; the sentiment of increasing places to live will be uttered one day, but the processes which allow people to pay for their accommodation will be fundamentally changed and drastically threatened the next. The Government will subsidise the development of a private market for rental properties, but not increase the salaries of Nurses, Teachers, and a whole host of other socially-important workers so that they may stand a chance to comfortably afford those rents, which will no doubt be increased according to the needs of dispersed investors. Although it is easy to lay the blame at the door of the Conservative Party because it is they who inhabit Number 10 today, the current housing problem is a persistent one and other political parties can be blamed just as much. What is required, then, is a neutral discussion away from the incredibly destructive political end-points, in order to develop a long-term and socially-advantageous housing policy which successive Governments can support; the vulnerable in society can be housed at the same time that dispersed investors make returns, but what is required is the will to make that a reality – the question is then whether this level of forward-thinking exists within the political elite to make that balance so? Thank you to Jake Richardson, an Undergraduate Student in Aston Law School, for his assistance with this piece. Please do get in touch if you have an idea for a post in Financial Regulation Matters and it will be considered.